:: Here are nine dynamite books by women set in and around Los Angeles, recommended by a nine women writers who are dynamite in their own right. Don’t get me wrong: I love Raymond Chandler. Phillip Marlowe is outstanding, as is his latter-day reincarnation, Michael Connelly’s Harry Bosch. Ellis’s Less Than Zero was a great novel, and it made a great film, too. James Ellroy rocked it with L.A. Confidential. But men aren’t the only ones writing great books about Los Angeles, despite what all the listicles seem to say. What listicles? Years ago, when I began to research for my own novels set in Los Angeles, I noticed there were few women authors on the many lists of “best LA books” that I searched for reading material. Here and there would appear Joan Didion or Janet Fitch. But the rest were men. This list of novels, then, is both a corrective and a treasure trove. To come up with the books on this list, I interviewed contemporary women novelists. 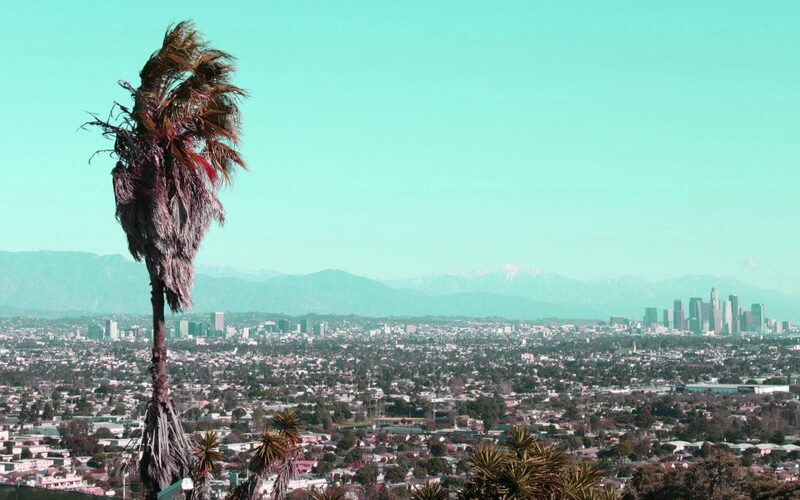 Many of these novelists write about Los Angeles too, or are California natives themselves. In no particular order, here are nine dynamite books by women set in and around Los Angeles, recommended by a nine women writers who are dynamite in their own right (and by me). 1. Monarch Beach by Anita Hughes. Recommended by Kaira Rouda, author of The Goodbye Year, the story of the senior year in high school in an affluent Orange County, CA, community, and the Laguna Beach contemporary romance series. Kaira: When my family first moved to Laguna Beach, I picked up a copy of Monarch Beach as a fun way to immerse myself in my new hometown. A great beach read with a sparkling setting at the St. Regis Resort, this is the classic romance story of betrayal and finding love again. As the story unfolds, you find yourself charmed by both the heroine, Amanda Blick, and the gorgeous Laguna Beach setting. Laguna Beach a place I’m honored to call home and a setting that has been inspiring my own writing ever since. 2. The Girls from Corona Del Mar by Rufi Thorpe. Recommended by Kelly Simmons, author of the novels One More Day, Standing Still, and The Bird House. Kelly lived her formative years on California’s Monterey Peninsula. Kelly: The time and place of The Girls from Corona Del Mar feel uniquely Californian, yet the heartache of best friends following completely different paths seems universal. Rufi Thorpe handles big themes and small details with insight and subtlety. 3. Entanglement and Chasing Chaos by Katie Rose Guest Pryal. Recommended by Kathryn Craft, award-winning author of The Far End of Happy and The Art of Falling. Kathryn: These two novels in Pryal’s Hollywood Lights Series feature unlikely college friends from North Carolina who come to LA to escape difficult pasts and find a way to contribute to the inner workings of the entertainment industry. The foibles of the socially awkward, straight-talking Greta and the behind-the-scenes manipulations of the pretty-yet-damaged Daphne interconnect with locals from all social strata to create an increasingly complex web of relatable characters. Pryal’s plots then winch the ties between them, pulling the delighted reader right into the fray. 4. White Oleander by Janet Fitch. Recommended by Lauren Faulkenberry, author of Bayou, My Love, and the upcoming Bayou, Whispers From the Past. Lauren: This is one of those books I wish I’d found sooner, back when I was a graduate student, breaking my bad writing habits and learning how to write prose that feels like poetry. A lot of writers are great storytellers, but Fitch has that rare combination of masterful storytelling and mesmerizing prose. I read and re-read passages just for their tug-of-war between beauty and grit, saying, “Damn, I need to put words together like that.” Read this for its darkness, its eloquence, and its grace—it’s far beyond your typical love story. It haunts me in the best way, like so few books do. 5. Platinum Doll by Anne Girard. Recommended by Amy Impellizzeri, award-winning author of Lemongrass Hope and the upcoming Secrets of Worry Dolls. Amy: Anne Girard took fierce hold of me with this book set against the backdrop of Hollywood in the roaring 20’s. A previously untold story about actress Jean Harlow’s earliest years in Hollywood―torn between an over-protective teen husband and a stage mother―with guest appearances by Clara Bow, Clark Gable, Laurel and Hardy, Howard Hughes and more, Platinum Doll is an endearing story of a strong young woman coming into her own despite the circus that surrounds her. 6. Play It As It Lays by Joan Didion. Recommended by Karen Karbo, author of The Diamond Lane, How to Hepburn, The Gospel According to Coco Chanel, and many more. Karen: Even though Joan Didion hails from Sacramento, she’s always been, for me, the consummate LA writer. I’ve read her iconic 1970 novel Play It As It Lays perhaps a dozen times. Nothing for me has ever quite captured the same hazy, urban, Southern California malaise. In the novel, Maria, the confused main character, spends most of the book driving the freeways from one boozy, ill-advised sexual encounter to the next. When I read it as a teenager I thought it was devastatingly glamorous and profound. A few years ago I was on the train from Philadelphia to Manhattan and the college-aged girl sitting next to me was immersed in reading a new edition of Play It As It Lays. I couldn’t resist asking whether she liked it. “I love it,” she said. “Have you ever read it?” “Many times. It’s one of my favorites.” “I hope this author Joan Didion keep writing,” said the girl. “She’s got an awful lot of talent.” Indeed. 7. The Goodbye Year by Kaira Rouda. Recommended by Ann Garvin, author of I Like You Just Fine When You’re Not Around, The Dog Year, and On Maggie’s Watch. Ann: Rouda’s book, about the everyday lives of everyday people during a senior year of high school, spoke to me as the parent of teenaged kids—and as an author of books about neurotic adults. But my books are set in the midwest, not Southern California, and as the character Melanie says in the opening chapter, “There was a reason there wasn’t a Real Housewives of Ohio.” The impossible Californian expectations of mothers, and women generally, in The Goodbye Year created a dramatic fulcrum for the entire novel. 8. The Year We Turned Forty by Liz Fenton and Lisa Steinke. Recommended by Kristy Woodson Harvey, author of Dear Carolina, Lies and Other Acts of Love, a story of family secrets in four generations of women, and the forthcoming Slightly South of Simple. Kristy: Who wouldn’t want the chance to do it all over again? In The Year We Turned Forty, three best friends get a chance to relive the past and, possibly, rewrite the future. As someone who has never visited Los Angeles or Orange County, the perfectly portrayed Orange County backdrop left me fascinated by the differences in lifestyle, expectations placed on women, and even styles of parenting when compared to my own North Carolina town—and, more important, opened my eyes to the common thread that connects our experiences as women no matter where we live. This is a story of friendship, forgiveness and true love that had me thinking about what I would do differently—and realizing that sometimes the mistakes end up being the best decisions of all. 9. The Diamond Lane by Karen Karbo. Recommended by Katie Rose Guest Pryal, author of the Hollywood Lights Series (and author of this column). Katie: That Karen Karbo’s The Diamond Lane is not on every “Best Books About Hollywood [or L.A.]” list is a crime. When it was first published, in 1991, the New York Times named it notable book of the year. The Diamond Lane was, and still is, a prescient, darkly funny take-down of the film industry. The book is about, among other things, a documentary of a real-life wedding, even though it was written long before we were all entranced by Kardashian weddings produced for public consumption. Like Didion’s Play It As It Lays, I am so glad to have The Diamond Lane as a foremother-book for my Hollywood Lights novels. This column first appeared in Huffington Post Books in 2016.